Debate | 20th Congressional District Seat 2014 Democratic Congressman Paul Tonko and Republican challenger Jim Fischer debate. Democratic Congressman Paul Tonko and Republican challenger Jim Fischer debate live on WMHT-TV as they seek to win the 20th Congressional District seat. Rep. Tonko (D-Amsterdam) was first elected in 2008 replacing longtime Congressman Mike McNulty. He currently serves on the Energy and Commerce Committees in Washington. Jim Fischer, of Ballston, owns Crystal Clear Communications, a wireless firm in the Capital Region. Matt Ryan and Casey Seiler of New York NOW are two of the four journalists on our panel and they took questions from constituents in the 20th District via Facebook and Twitter. This was be the fourth consecutive election cycle WMHT has conducted a debate for this district. 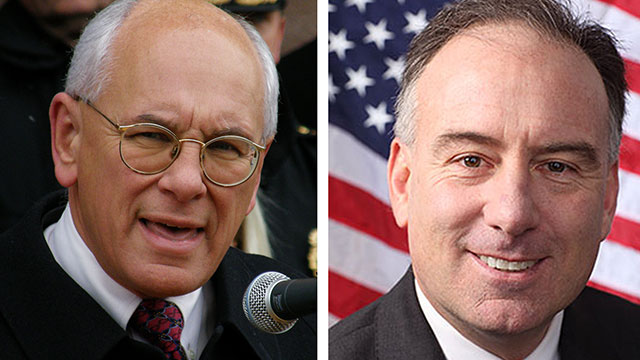 You can watch 2012's broadcast between Rep. Tonko and challenger Bob Dieterich here. The debate aired live on WMHT TV at 8pm on October 9, 2014. Check out our storify from the event!